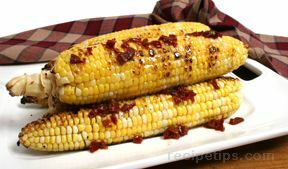 Chipotle chile pepper adds smoky heat and maple syrup adds sweetness to a delicious seasoned butter for grilled corn on the cob. 1. Mix butter, Smokehouse Maple Seasoning, maple syrup and chipotle chile pepper in small bowl until well blended. Set aside. Remove husks and silk strands from corn. 2. 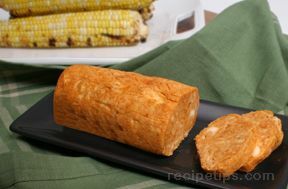 Grill corn over medium-high heat 10 minutes or until tender and lightly charred, turning occasionally. 3. Spread butter mixture over corn. Serve immediately. Refrigerate any leftover butter mixture.